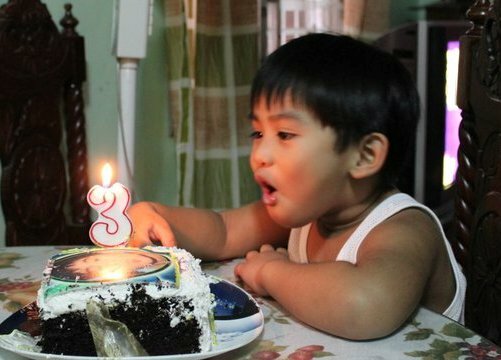 We celebrated B's 3rd Birthday last week, the green day! Why? 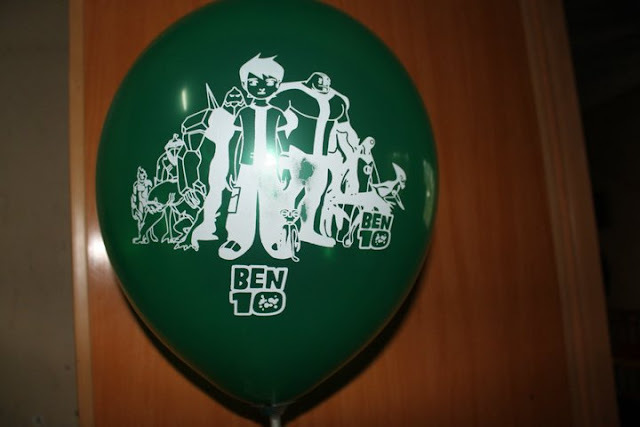 Its Ben 10 Party theme from hats, balloons, banner, loot bags, and cake. 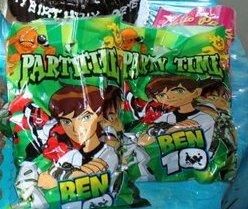 I even bought him a pair of sando and shorts with Ben 10 character for that special ocassion. 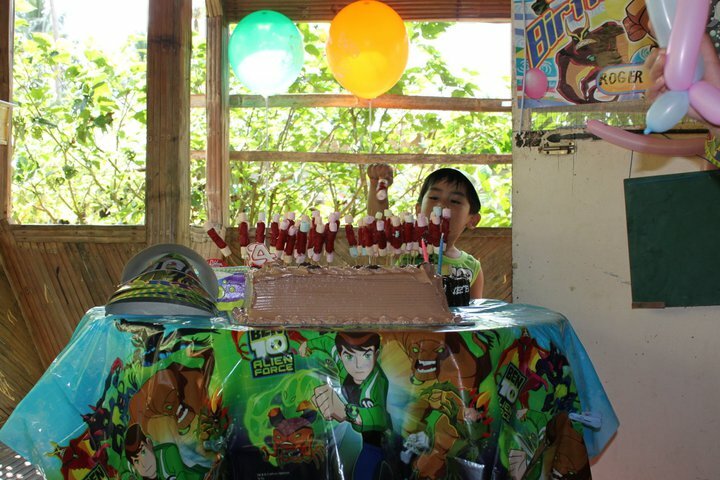 Its a simple celebration, picture takings, the ceremonial singing "Happy Birthday to you" and then blowing of candle. After giving kids their lootbags, they eat and go! Sorry... my apologies for not even bothered to host a party games for the kiddos. 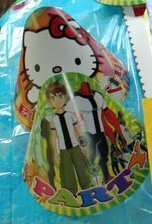 I did not prepare any games for the kids because my plan was just a small celebration and I think they're happy enough to bring home a balloon and a lootbag containing a small toy, cotton candy, pops, chocolate coins and assorted candies. 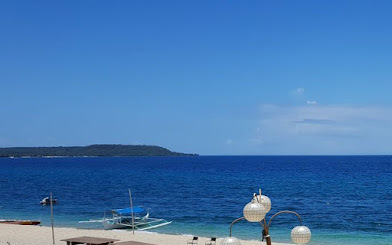 Its indeed a Happy happy Birthday! All the food are just looks yummy..
my kids would have loved to be at this party. even my girls are Ben10 fans. it's right to let your little one choose what he wants. that's good for him. nice celebration for your little boy! Belated Happy Birthday to your precious son. 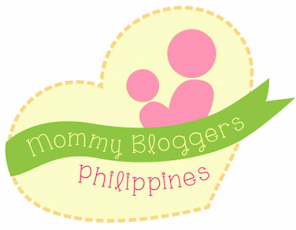 Thanks for te visit.Following your blog now & added to my lists as well. 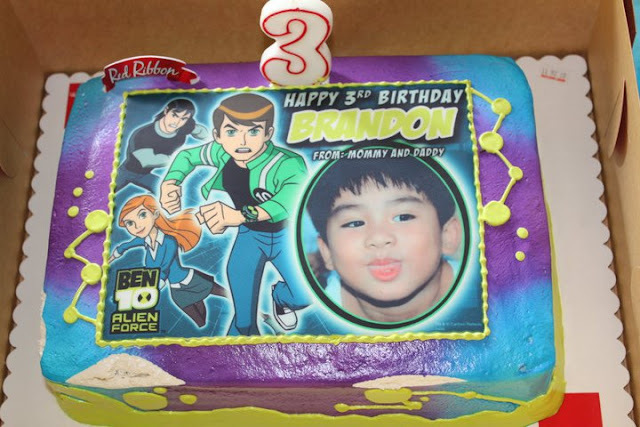 That ben 10 cake looks so good. :) I'd say kids love it !